Bloom’s taxonomy is an heuristic designed to help educators develop teaching methods that will move student’s learning beyond rote memorisation. Learning beyond memorising is sometimes considered higher order or deeper learning. Since the taxonomy was developed in the mid 1950’s it has informed education policy across the globe and has inspired countless innovations in teaching and learning including Research-led Teaching and Learning, Service Learning, and more recently Knowledge Building approaches. It has also been used to help educators develop learning outcomes for Objective Based Teaching and Learning (OBTL) that are then assessed via Criterion Referenced Assessment (CRA). 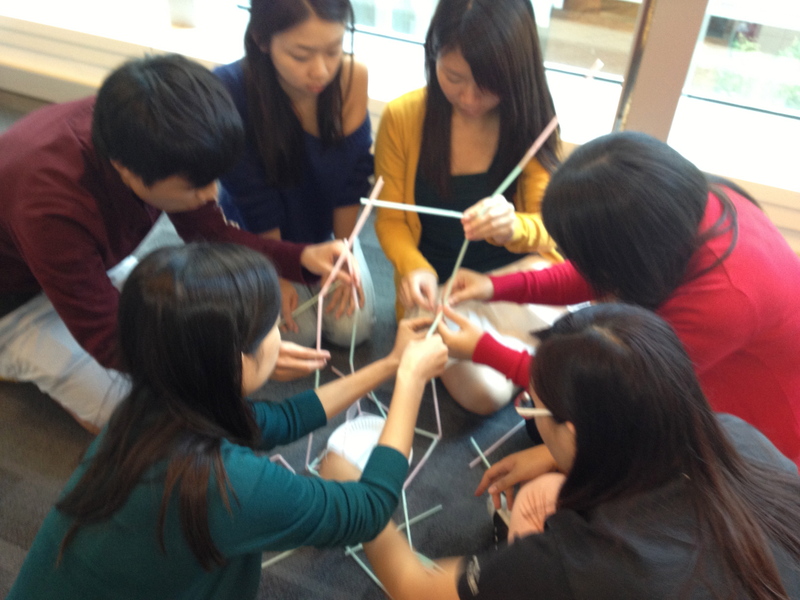 In this post I discuss how I sought to achieve higher order learning through a student web page project in Hong Kong and what that process revealed to me about Bloom’s taxonomy. 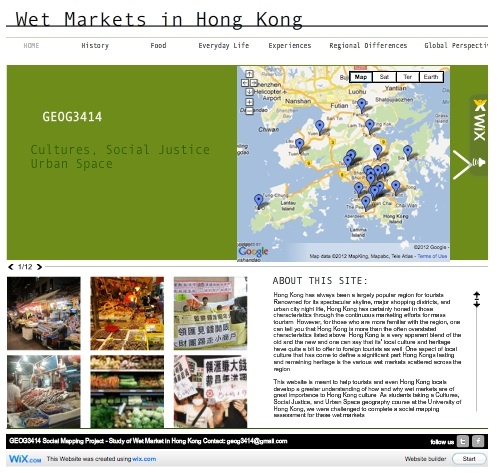 The project was part of a course that I taught at Hong Kong University called Culture, Social Justice, and Urban Space. The course aims were to introduce students broadly to social and cultural geography and to pay particular attention to the mutually constitutive forces of society, culture, and geography that produce hierarchical socio-cultural distinctions in and through urban space. In doing this we sought to explore how cultures and social relationships are geographically expressed and how geography shapes socio-cultural expression through examining, for example the role of memorials in shaping belonging, how land use practices give access and value to land, landscape as representation and tool of erasure, and so forth. Students taking the class were asked as part of their learning to work in groups to explore spaces in Hong Kong that are not typically included in the World-city image Hong Kong has tried to convey in its recent attempts to place itself within global capitalism. As such this was a critical social mapping exercise aimed at making visible ordinary spaces in this global city. Two cohorts of students completed the task. The first cohort, comprised of 54 level 2 and level 3 students from a range of arts and social science disciplines, at my direction, focused their social mapping activity entirely on the city’s wet markets. Prior to starting, some students expressed a reluctance to visit and engage with these places because they viewed them as unsanitary, dirty, and boring or ordinary. However, it was precisely because of the ordinary nature of the markets that they were encouraged to focus on them. While they were told from the beginning that there would be some individual work and that the bulk of what they would undertake would be as part of small groups of seven or eight students, the result would be a project that would be the product of the whole class. The second cohort was of a similar size, and rather than focusing on the wet markets they were allowed to select their own “ordinary” urban spaces. An entire two-hour class session was devoted to the initial planning of the project where they were tasked to identify how they wanted to organise their groups (either thematically or geographically) and how they would manage the overall construction of the web page. This initial discussion brought home to the students the need to coordinate themselves and to construct timeframes that would enable them to meet their objectives. For many students, the expectation that they would need to be self organising was unfamiliar and somewhat frightening. Even after the pages went live and the comments from external sources which praised them for the high quality of what they had produced were read, some students in the first cohort still complained that the task was “impossible” because there were too many students involved. It was somewhat of a surprise to me that they felt so much more comfortable with small group and individual work, but were intimidated by the task of collectively representing that work. The group size problem was less of an issue for the second cohort, however it remained and was manifest materially in the relatively unwelcoming front door of the their web site. So what do the successes and difficulties with this large group work mean in relation to Bloom’s Taxonomy? The students were able to gather factual information as both secondary and primary data. This data was analysed in small group discussion and also individually in relationship to the concepts we discussed in class. They presented their thinking on the web page and also in an individual reflective portfolio that comprised a large part of their final mark. For the most part, they were able to reflect on their learning and write about how their understanding had changed. They were also clearly able to make intellectual leaps and produce new knowledge individually and in relation to existing cannon. As such, the students demonstrated all the intellectual skills represented by the taxonomy. Where they felt intimidated was in curating their own work and that of their peers into a coherent whole. While they could apply the skills to already existing knowledge and to knowledge that they had created in an individual way, where they struggled was to do it in a large group setting–as a collective. In short they struggled with the skills involved in community knowledge building and the production of Collective Understanding, an intellectual skill not represented in Bloom’s taxonomy. The skills of Collective Understanding are, I believe, more than synthetic. They involve intellectual abilities that do not try to oversimplify the complexity of problems and incorporate skills such as recognition, mediation, and negotiation of different perspectives and interpretations that are held within group, but also in the data that is being analysed and exiting understanding (academic or not). These skills can, in turn, enable the application of ideas in ways that are contextually attuned. But, the treatment of ideas in ways that embrace their complexity as well as the contextures in which they are embedded are not the only aspect of Collective Understanding; practical skills such as listening, questioning, talking, valuing, and being critically reflexive and flexible are as important here as the traditional skills of reasoning and logic. It was clear to me and to the students that these collective aspects were the most difficult part of the task because it was something they had not been encouraged to develop in their previous education, with the exception of a few students who had attended private schools where these types of engagements were already incorporated into the classrooms. This presented to me a situation that begs the question of why those who can afford it are receiving this form of skills set, while those who cannot, are not? Is it that this type of knowledge has become a form of elite cultural capital that will enable some to silently succeed, while the majority struggle because they do not know that they are missing out on skills learning? They are after all, learning the skills of the taxonomy. There are at least two reasons why it is important to incorporate Community Understanding into the representations of intellectual skills. At an abstract scale, representation is key for making visible that which occurs, but which we may not recognise. Indeed, one of the aims of the student project was to make the wet markets that are the spaces that sustain the lives of a large number of the city’s residents and as such are important components of the city’s landscape visible, even if just to the students. A landscape, which heretofore has been dominated by the representations of global financial capital and in which the ordinary had been written out. With Bloom’s taxonomy, the converse has occurred, whereby those skills which give cultural capital to the next generation of elite are missing from widely accepted representations of the skills necessary for advancement and through their obfuscation are producing a hidden code of naturalised advantage and the reproduction of class distinctions. From a practical perspective, the intellectual skills associated with Community Understanding enable not only different questions to arise and with that different solutions to be made possible (in short Innovation), but also these skills are the foundation for interdisciplinary conversations and endeavours. This kind of joined up thinking is demonstrated to be more effective for considering big problems such as food security, where it is clear that what might be considered non-food issues such as housing, wealth distribution and women’s empowerment are actually intricately linked to how well a country, place, or household can provide for itself. Climate change is an area that is similarly complex and in need of ways of knowing that embrace this complexity and interconnection, rather than segmentation and individualisation. Please note that I am not arguing here for a replacement of other forms of intellectual skill with Collective Understanding, instead I am asking for the greater recognition of this skill alongside those other skills. Of course recognition will also require adjustments to institutional norms and structures around assessments, teaching practice, decision making, and so forth to enable Collective Understanding to be more readily designed into schools and universities, but also workplaces. I am optimistic however, as while I do see resistance and intransigence, I also see evidence of this sort of adjustment to institutions already happening. The links to the web site that the student’s made are here: S1-2011 and S1-2012. You can download the project description, which outlines learning outcomes and the criteria for assessment of the project and the reflective portfolio, from this link: GEOG3414 Wet Market Project. Bloom’s taxonomy identifies different levels of intellectual skill and is often represented in a hierarchical structure. The tiers in ascending order are remembering, comprehension, application, analysis, synthesis and evaluation. When represented as a hierarchical structure, remembering is the considered the most shallow level while evaluation is considered deep learning. One drawback to this organisation is that it tends to de-valorise the ability to remember factual information and to be able to organise it, and gives priority to the critical evaluative approaches. Recent adjustments to the taxonomy have recognised that a wheel is probably more appropriate as problem solving requires the development of and application of all different types of cognitive skill. A good example of the taxonomy represented in wheel format, complete with apple ipad apps that facilitate each area of cognition can be found on this blog here. CRA: Instead of being marked on a curve, students are given a set of criteria prior to being assessed that indicates proficiency for each of the learning outcomes for the particular unit they are taking. Knowledge Building: Knowledge building is a form of student centred learning where student’s go into the field to solve a problem that is present in the real world. It is a similar approach to service learning with the exception being that students are not working with a real world organisation. Instead problems are identified via the subject knowledge and as such it is an approach that is sometimes easier to incorporate into specialist fields. The approach can also incorporate incremental learning, where students reflect on their problem as they learn new information in the classroom. Key developers of the Knowledge Building approach are Marlene Scardamalia and Carl Brereiter, who have also developed open-source teaching platforms that seek to provide online teaching tools aimed at facilitating student interactions and also to help teachers track the metrics associated with student-centred learning (e.g., terminology use, networks of interactions). More here. OBTL: This form of teaching and learning is when students are given a set of objectives that they then are expected achieve to some level of proficiency by the end of the class session, module, or course. Research-led Teaching and Learning: In this approach, the aim is to pass on to students the most recent advancements in research as they are happening. Often adopted by universities that have a strong research focus, they aim to offer value to students through access to this cutting edge knowledge. A second aim is to reduce the divide between research and teaching, but the application of the approach is variable. Service Learning: This form of learning sees students working with a functioning organisation (either commercial or otherwise) to help that organisation solve a real problem. This is not quite the same as an internship, where a student learns how to do a particular job as (often unpaid) help. Instead service learning involves students, frequently in groups, completing a pre-defined task over the course of an academic term. Outside the classroom students undertake the necessary activities needed to resolve the identified issue, while in the classroom alongside formal teaching activities time is also set aside for strategy discussions to be undertaken by the groups and feedback sessions where problem solving provided through discussion with classmates and the course leader. Targeted teaching activities may also be introduced by the instructor as particular issues arise. 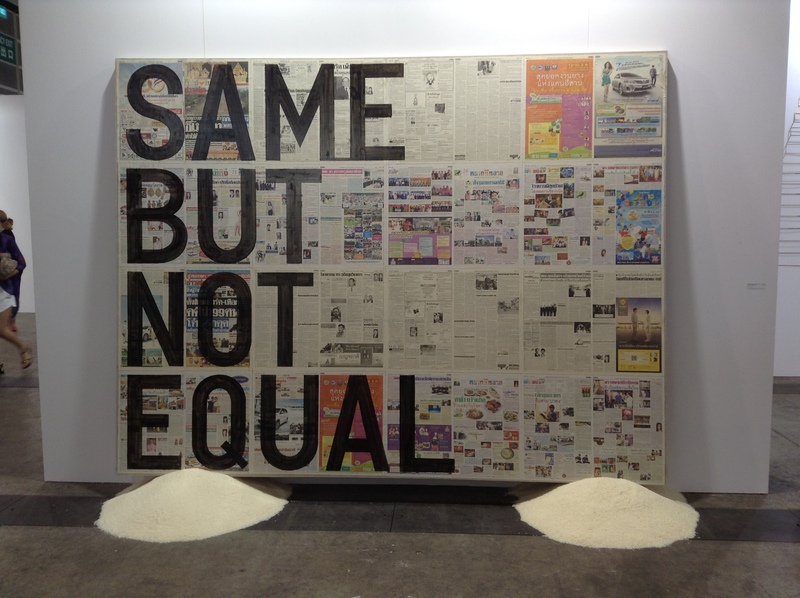 This entry was posted in Social Positions and tagged Bloom Taxonomy, critical geographies, Education, Learning Theories, pedagogy, social justice, social mapping, student centred learning by geofoodie. Bookmark the permalink.